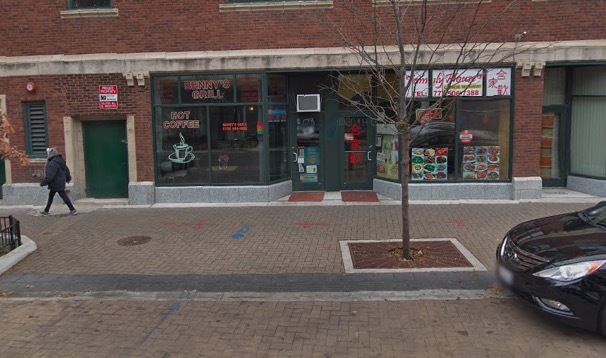 Two men were shot when a gunman opened fire outside of an Uptown restaurant on Tuesday evening. No one is in custody. Witnesses said the two men were in a small group that was standing outside of Family House Restaurant, 1007 West Argyle, around 8:15 p.m. A man in the group then pulled out a handgun and began shooting as the rest of the group ran from the scene. One victim was critically injured, the second was grazed, according to police and witnesses. Police said a 27-year-old man was shot in the chest, groin, both legs, and right arm. A 23-year-old man was grazed on his jaw. Both victims were being treated at Advocate Illinois Masonic Medical Center. Witnesses reported hearing about six shots as the group broke up and its members ran from the area. The critically-injured man was found outside an apartment building near Argyle and Sheridan. The other man was found a short distance away. Officers who reviewed police surveillance camera footage said the gunman was a black man, possibly in his 20’s, who wore black pants and a black hoodie with a logo on the front. He was last seen running west on Argyle.